While ghost and goblins are out during Halloween, not all attractions are terrifying. 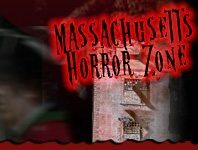 Take part in the No-So-Scary Kid Friendly Haunted House attractions in Massachusetts for a fun time this Halloween season. We understand not everyone is into the heart-pounding, bone-chilling scary adventures of Halloween so these attractions should be right up your alley. Fortress of Nightmares Newport 188 days ago Rate Now! Ioka Valley Farm Haunted House Hancock 198 days ago Rate Now!